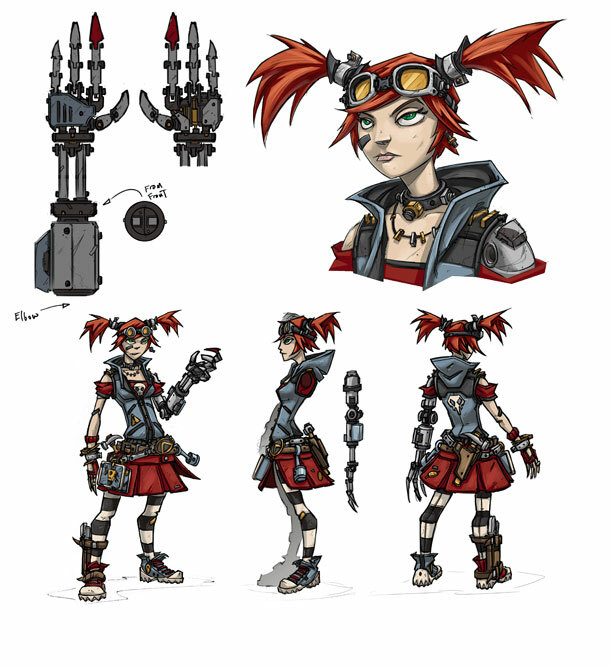 News from Gearbox's PAX East panel! 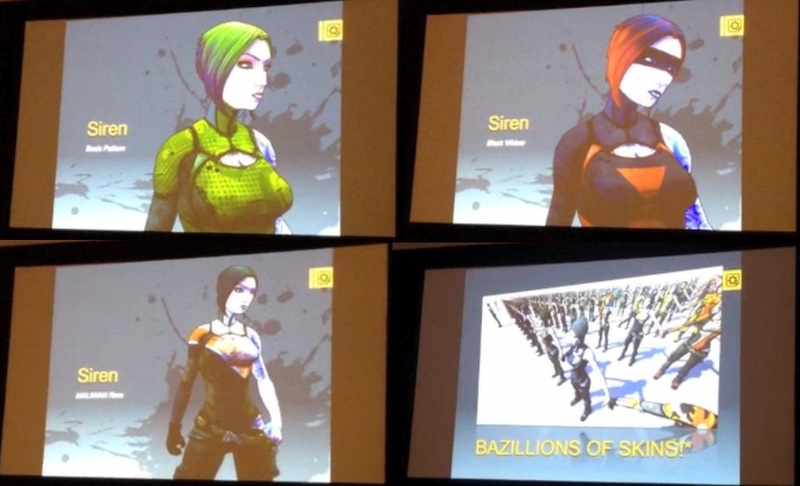 Lots of new Borderlands 2 info! How to score the "Tribute to a Vault Hunter" achievement and get some cool loot in the process. Michael Mamaril was a huge Borderlands fan who passed away before BL2 was released. The guys at Gearbox have immortalized him in game, you can get an achievement for finding him, and better yet, he'll give you a free gun of blue (or better) quality every time you see him. On the consoles, he shows up 100% of the time before the story mission "Rising Action" and only about 10% of the time after that mission starts. On PC it is apparently 10% all the time. When he does spawn, he will randomly be in one of a handful of locations, here's where you can find him. He's easily identifiable from both the guns strapped to his back and the fact that his name shows over his head instead of "sanctuary citizen". Once you've got an item from him, he won't give you another until you either save and reload or leave town and come back. It's a great way to get some mid-level gear before the "Rising Action" mission, where the action really picks up and those guns will come in handy. The Gouki team paid a visit to Sega's booth at E3 2011 for a first look at Aliens: Colonial Marines in action. Hot on the heels of the first official trailer for this game, Sega let us in to see an early build of Aliens: Colonial Marines being played by the Gearbox staff and hosted by non other than Randy Pitchford, CEO of Gearbox Software. When asked when the game takes place in the Alien universe, Pitchford stated that he considers this the "true sequel to Aliens", which brought cheers from those assembled for this demo. We soon found ourselves in Hadley's Hope searching for survivors and clues as to what happened during the events of the Aliens movie. The level of detail even in this early build was quite impressive. Fans will clearly recognize the blueprints of the building and the labs housing the face-suckers. Things quickly turn dark for our band of marines as the sounds coming from the motion tracker become more urgent. Alien xenomorphs soon begin emerging from the ceiling air vents, taking many of your squadmates out in the process. The aliens move all along the ceiling and walls as easily as the floors, and they move quickly. You will really need to have your head on a swivel if you wish to keep it attached in this game! Better yet, bring some backup; Aliens: Colonial Marines supports 4 player co-op. As Pitchford announced this feature, a second Gearbox employee joined the demo. 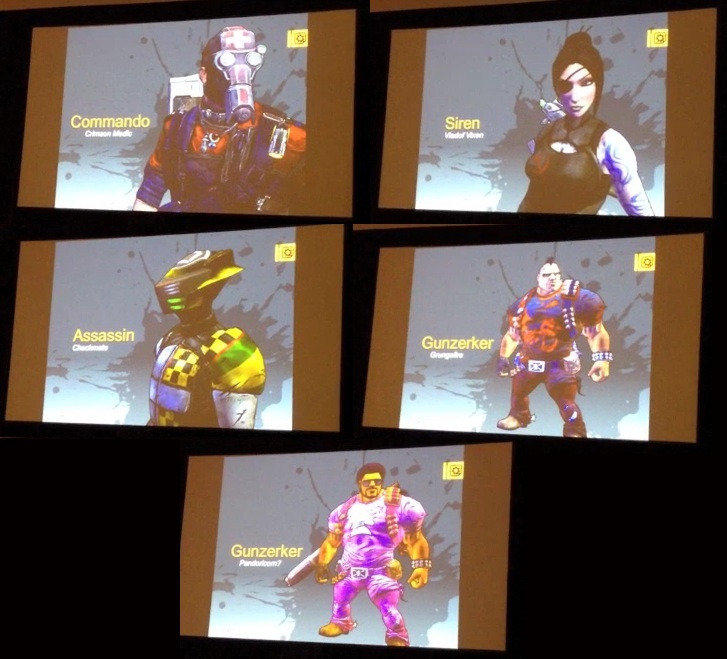 Much like Gearbox's recent hit, Borderlands, the additional player simply popped into existence and a message appeared on the screen stating that "player 2 had joined your party". Nothing was mentioned of this, but I noticed that the second player had some custom looking artwork on their armour hinting perhaps and some level of player customization. Most of the action was standard FPS stuff, move from point A to point B and have a firefight, but along the way the engine showed off some survival horror effects (exploding lights, face-suckers throwing themselves at the inside of their glass cage towards you with the accompanying music queue) and other events like random marines being gruesomely dealt with by the aliens. We weren't shown any items other than the motion scanner, but we did get to see a few weapons including the pulse rifle and sentry turret. After the marines had decided to take a last stand, a giant firefight broke out, culminating in the alien queen bashing through the door and ending the demo with an ominous fade to black. For those worried that an Aliens game can't live up to the hype, let me tell you that Pitchford and his Gearbox staff were visibly excited to be making this game, and very much knew their stuff about the Aliens universe. Pitchford was shouting out movie quotes throughout the demo, and mentioned that they had the chance to work with many people and assets from the film. In addition a version of the game will make its way to the WiiU after its launch. While we don't know specifics on the WiiU version, it is easy to imagine a motion tracker on the controller screen. 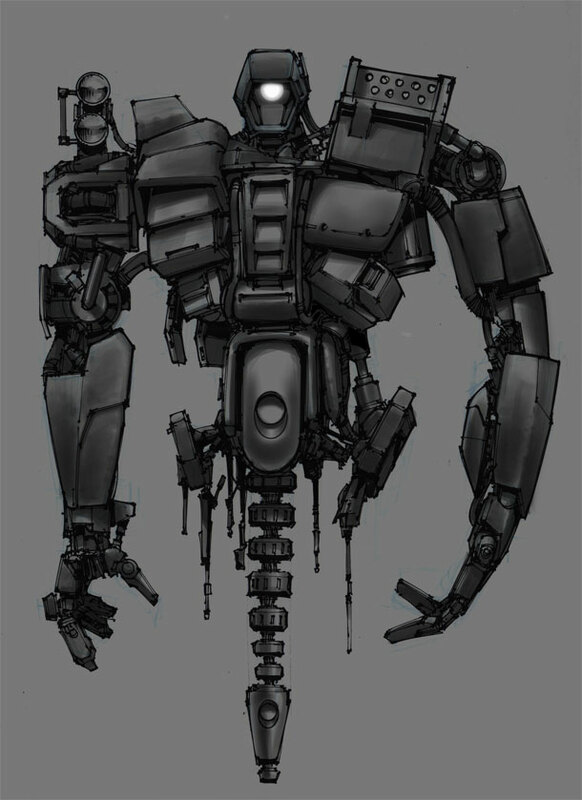 Pitchford would only say that Gearbox was proud to be one of the early recipients of the developer kit for the WiiU. Aliens: Colonial Marines ships out Spring 2012 for the Xbox 360, PS3 and PC. Nintendo announced today that the Wii will be $150 starting May 15, will include Mario Kart. Cutting the Wii to $150 and including Mario Kart is a great deal. Also, select games (The Legend of Zelda™: Twilight Princess, Animal Crossing™: City Folk, Mario™ Super Sluggers and Wii Sports) will be priced at $19.99. Looks like Nintendo is getting ready for that new system. REDMOND, Wash.--(BUSINESS WIRE)-- Nintendo is dropping the suggested retail price of its Wii™ system to $149.99 and including a Mario™ game with the Wii hardware. Starting May 15, the newly priced Wii system will come in either black or white with the Mario Kart™ Wii game and a matching colored Wii Wheel™ accessory, replacing the previously included Wii Sports™ and Wii Sports Resort™ games. About Nintendo: The worldwide pioneer in the creation of interactive entertainment, Nintendo Co., Ltd., of Kyoto, Japan, manufactures and markets hardware and software for its Wii™ home console, Nintendo 3DS™ and Nintendo DS™ family of portable systems. Since 1983, when it launched the Nintendo Entertainment System™, Nintendo has sold more than 3.5 billion video games and more than 577 million hardware units globally, including the current-generation Wii, Nintendo 3DS, Nintendo DS, Nintendo DSi™ and Nintendo DSi XL™, as well as the Game Boy™, Game Boy Advance, Super NES™, Nintendo 64™ and Nintendo GameCube™ systems. It has also created industry icons that have become well-known, household names such as Mario™, Donkey Kong™, Metroid™, Zelda™ and Pokémon™. A wholly owned subsidiary, Nintendo of America Inc., based in Redmond, Wash., serves as headquarters for Nintendo’s operations in the Western Hemisphere. For more information about Nintendo, please visit the company’s website at http://www.nintendo.com.